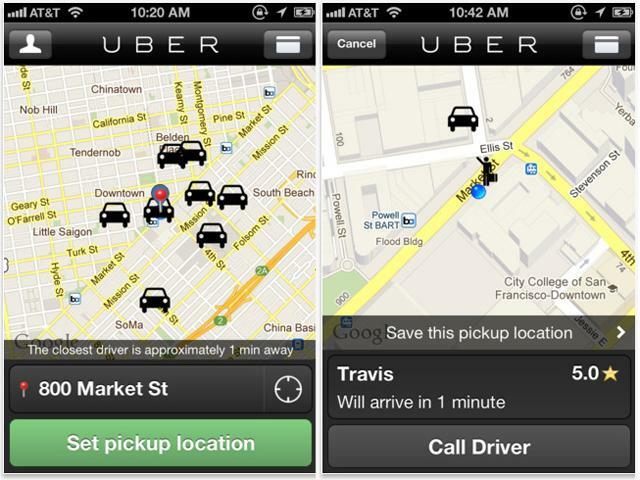 Back in December, we ran a story about Uber, the app that matches users to the closest town car or taxicab. Uber gets its money by charging its own rates, which can cost much more than a typical meter. Listener Mark Gruberg called in to let us know that we missed something: that regular cabs are using apps, without the extra cost. MARK GRUBERG: One significant thing that was left out is that the cab industry is using the same kind of app as Uber – services like Cabulous and Taxi Magic put you directly in touch with a driver from your cell phone, the driver picks you up and charges you a taxi rate, not an Uber rate, which is approximately 70 percent higher than taxis at best. Then because they use surge pricing, it could be astronomically higher at busy times. We asked Isabel Angell, who reported the original story on Uber, if she had anything to share. ISABEL ANGELL: So here’s the deal with Cabulous. It’s now called Flywheel, and it works a lot like Uber. It’s the same idea of using an app to match the passenger to the closest cab. But here’s where it’s different: unlike Uber, Flywheel doesn’t mess with the meter. They just take 60 cents from the driver off each Flywheel-generated cab ride. You can pay the driver in the car or use the app, like Uber. A third of SF cabs use the app – that’s about 580 taxis. So right now, I have the app pulled up on my phone, and I can see all the cabs using Flywheel around San Francisco. Currently, they’re mostly centered around Downtown, the Mission, and the Marina, with one lonely cab in the Inner Sunset. So maybe I would have to trek back to the Outer Richmond to see if it really stands up to the test! If you’ve got something to say about one of our stories, we want to hear it: call us at 415-264-7106. Hailing a taxi in San Francisco can be nearly impossible if you’re not downtown. Calling ahead isn’t a guarantee either – often, the cab is late and sometimes it never comes.